How Does $10k in 10 Days Sound? 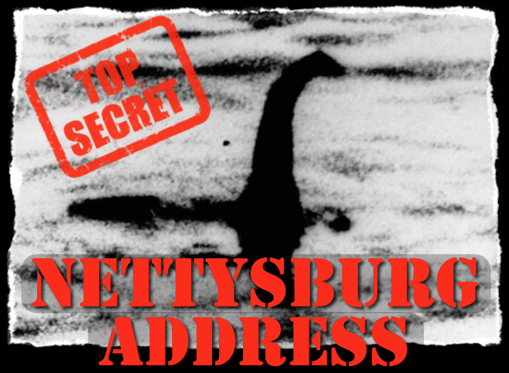 The Nettysburg Address Find Out Why We Gave Up $350,000 Because of It! Click Here To Find Out More FREE TRAINING! JOIN US FOR THE 5 DAY CHALLENGE! 0 person agrees with this Shout Outs! Sounds good to me.....maybe this new approach will make me feel better about letting all my RSA properties continue to rank with better and better keywords and lease them out later on when they will be worth even more, rather then trying to move them now....especially with all the work that will be done on them this year....kind of like money in the bank I figure....just another portfolio to watch grow in value....!!!! Rock on!! 1 person agrees with this Shout Outs! Good point. In my experience, you don't need to hide in order to organize and isolate niches and territories. Either way, there is plenty of opportunity to thrive online (in an evergreen way) without having to struggle! Don't you think, since Google is all about local being LOCAL...for us to use private local proxies and separate browser profiles for each local niche site we put up? Sorry hit the wrong button... I have to be honest... The last few months in the RSA have tested my patience. The lack of communication was the main reason! I have taken the time to watch the latest RSA update and now understand the reasons behind it and accept the 2R's apology for the way it was handled. Time to move forward... I have been buying your stuff and following you guys for years now and will continue to do so as long as you continue to COMMUNICATE 🙂 Look forward to seeing this challenge! Rock On! help. I say....Sorry that is confidential. Who knows they could be Google??? This month. Want to know more about your $10,000 challenge. I have four of your marketing tools and am just beginning to use these. the blog. While some of these tools are simple, some do duplicate. be checking the back door and tools this week again for errors. This should be awesome! Your methods have worked well for me in the past so very excited to see what you have in store for all of us. As always....you guys rock! 10K in 10 days! If this is as good as the content in the Magic Mirror and RSA webinars the past couple weeks, I can't wait. Very exciting! How long btw is the timeframe for the $10k? Is it 8 hours per day x 10 days? Wow! You all rock! Thanks so much for all the love! (below) nailed it. Thanks and Peace/Joy be with you this coming year. In my gratitude journal I wrote on the 16.10.15 the following - I am grateful to Dr Dan and Ben for having the imagination and creativity to put together their Lazy Man's products including :- The Google Love Method 2 and Rockstar Agency etc. I am also grateful to them for having the generous nature that allows them to share their vision with us. I have and continue to learn loads, laugh loads and enjoy myself. Dan & Ben, Wish You A Merry Christmas! Thank you for teaching us new things here. There is a reason you guys are Rock Stars!!! And this is it. You never leave your fans hanging out in the wind and always support us!!! Rock On Dudes!!! What up Gents... I'm always down to hear what you guys have to say, because your methods work! Very excited to see what the "Netty'sburg is coming to deliver. Happy Holidays and a VERY lucrative 2016! Keep Rockin - We all appreciate you guys for bringing the great training and insight. Ben, keep on rocking and rolling with your creative mind! You guys are so Awesome! The main reason I am so happy that I hooked up with the 2rockstars is because you have taught me a way to make money in an ethical fashion.The generous and forward thinking that you have shared with us is a testament to your integrity. I started MMF last night and I have first page ranking today! Shouldn't it be the Nessieburg's Address? The Founding Fathers would be so proud of you guys. You truly DO rock. Rock it Ben ( 2016 is going to Awesome with your help - cant wait !! Leave Some Love Here If You Are!